Hummingbird Edition Feeder.Feeder is crafted from decorative wire. Crafted from decorative wire, this nectar feeder shows hand painted hummingbirds as jewels in flight. 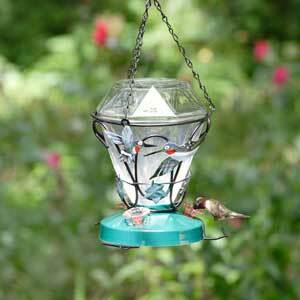 Each hummingbird edition feeder has 3 honeysuckle feeding stations.